Jill Dubesky brings her experience in purchasing, sales and construction accounting to TEAM ADAMS, a top producing real estate team with an impeccable reputation. As a long-term resident of San Marcos, Jill’s extensive knowledge of North County is paramount in helping her client’s not only find the perfect home but also the perfect neighborhood & community. Jill's first concern is to listen very carefully to her client's wants & needs and then guide them every step of the way until they achieve their real estate goal. If you value friendly & exceptional service, then give Jill a call today!! It's A Sure Sale with TEAM ADAMS, this dynamic team has you covered! Whether you are buying or selling real estate, you can feel confident in their expertise, energy, and talents. Robby & Linda with Jennifer Thomas and Rusty Smith are a power team of professionals with decades of experience and super synergy; their unique talent with systems in place can deliver more than any single agent can accomplish. 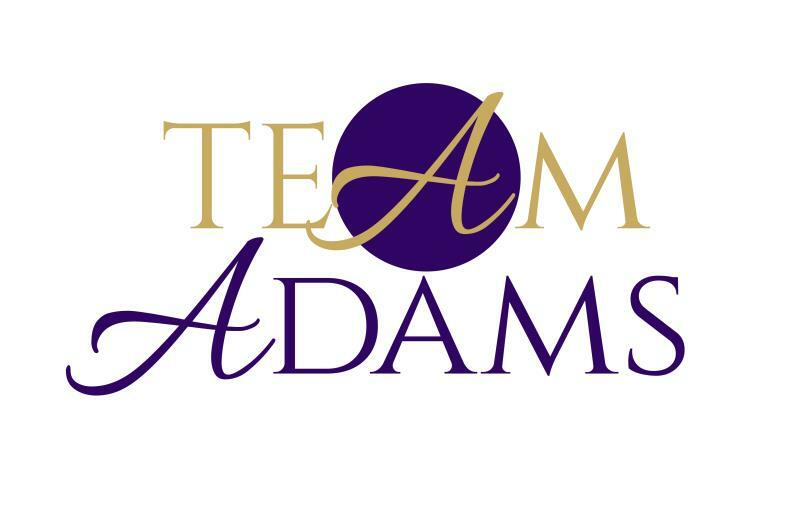 TEAM ADAMS is in the top 1% in Sales in San Diego County, specializing in North County TEAM ADAMS is ready to help you with your real estate goals!! In 2015 Jennifer Thomas was excited to announce that she had joined TEAM ADAMS, a top producing Real Estate Team in North County. Jennifer has managed multimillion-dollar properties such as The Clift in San Francisco, the San Mateo Marriott in Silicon Valley, and the Grand Wailea Resort and Spa on Maui. Jennifer's years of experience in the real estate industry have given her a skill set and passion to ensure that the home buying & selling experience is a FIVE STAR EXPERIENCE from start to close. In her spare time Jennifer loves spending time with her family & enjoying all the great activities that San Diego has to offer, Jennifer is an avid hiker, biker, and surfer & loves sharing her fun and amazing adventures with her clients. After having a wonderful experience using the services of TEAM ADAMS to purchase her own home, Sonia Smith decided to join the award-winning real estate team. Sonia brings to the team a strong sales background & a passion to ensure her client's are provided with exceptional service. Sonia is committed to providing all her client's individualized attention along with the utmost integrity to assure her client's best interests are always the first priority. Raised by hard-working parents who challenged her to exceed expectations, Sonia found herself to be a natural entrepreneur and is fluent in English, Spanish & Portuguese. Sonia is an animal lover and proud & active resident of North County who loves to travel, read, and spend time with family. In 2005 (after many years in the hospitality industry) Rusty Smith decided to apply his love for providing extraordinary service towards a real estate career. Now with over 13 yrs of experience, Rusty Smith has a proven track record as a top-notch agent & an extremely skilled negotiator. Rusty Smith has been a perfect match & welcome addition to TEAM ADAMS and has aligned perfectly with the team's core principles & values of ALWAYS having the clients best interest in mind. To assure his buyers have a distinct advantage in finding the home of their dreams, Rusty implements innovative marketing strategies to target and refine home searches & guides his clients step by step throughout the entire home buying process. As a resident in the coastal community of “South O” in Oceanside, Rusty enjoys all outdoor activities, volunteering and spending time with family. Ricky Zheng was born and raised in Tianjin, China and moved to the U.S. in 2011. Ricky specializes in helping International buyers purchase North County homes, his integrity & attention to detail has enabled Ricky to earn the trust of a very large database of active buyers & investors. Ricky is fluent in Chinese (Mandarin) & English which gives Team Adams' clients a distinct advantage in buying & selling in North County. Ricky currently resides in Oceanside with his wife and three adorable children.